Leigha Brown’s time is almost up, and she knows it. 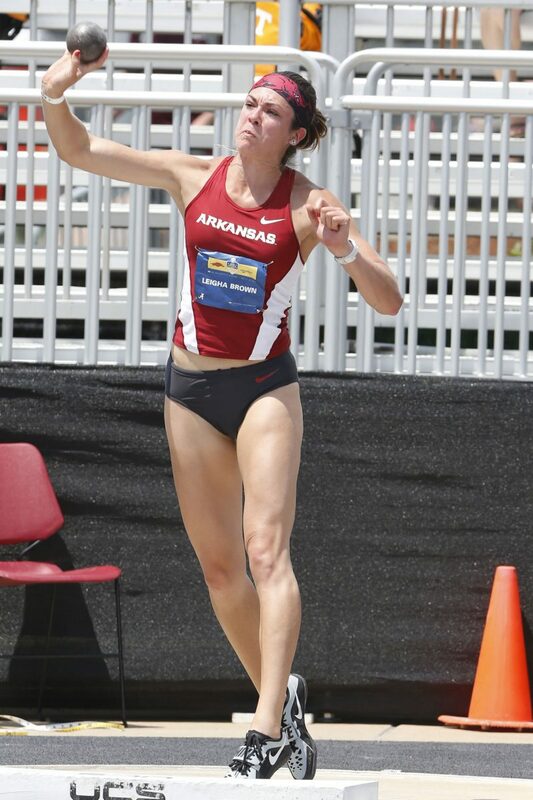 Feelings of enthusiasm, eagerness and exhaustion occupy their own quadrants in her mind after four years competing in the women’s heptathlon at the University of Arkansas. A UIL state qualifier as a junior and senior at Edinburg Economedes High School, Brown has vaulted herself into one of the premier athletes in college track and field. Over her sophomore and junior seasons, she earned second-team All-America honors on the NCAA indoor circuit and one second-team All-America nod on the outdoor circuit. Brown has been on a mission in her final year of NCAA eligibility. Despite dealing with a right patella tendon injury, Brown has earned first team All-America honors after a fifth-place finish at the NCAA Division I Indoor Championships in College Station back in March. She has a similar goal for this week’s NCAA Division I Outdoor Championships, which start today and run through Saturday in Eugene, Oregon. A fifth-place finish at the NCAA Championships this week could put Brown in a position to earn a first team All-America spot for the first time on the outdoor circuit. 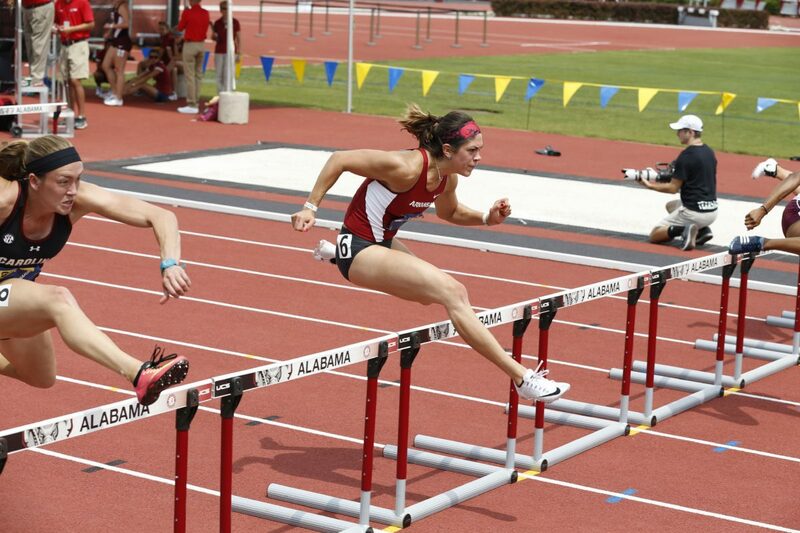 Running and jumping for Arkansas is filled with its own kind of stresses, and Brown has successfully overcome them. The Razorbacks come into this week’s meet ranked second in the country in the weekly Top 25, voted on by the United States Track and Field and Cross Country Coaches Association. The Arkansas women’s team won the outdoor team championship last year, the indoor team championship in 2015 and finished runner-up in 2016. 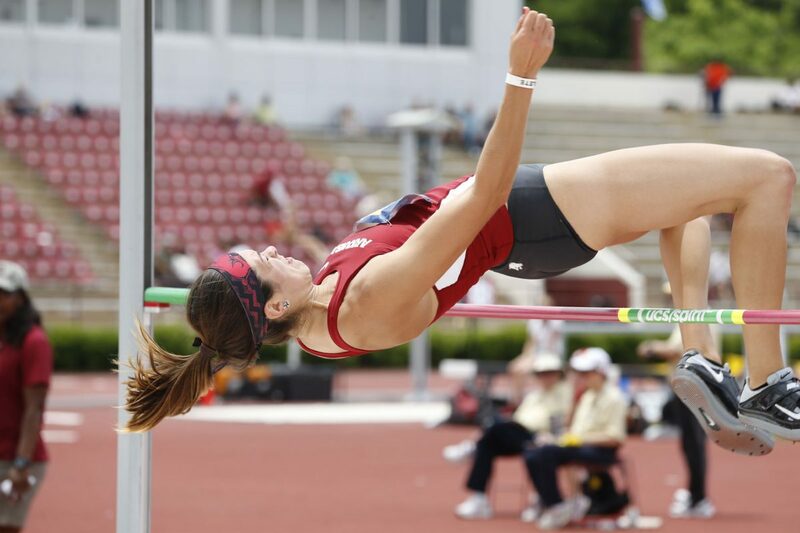 Brown will take the field this week in the women’s heptathlon alongside three Razorbacks teammates: sophomore Kelsey Herman, junior Payton Stumbaugh and junior Taliyah Brooks. No other program has four athletes running in the heptathlon. 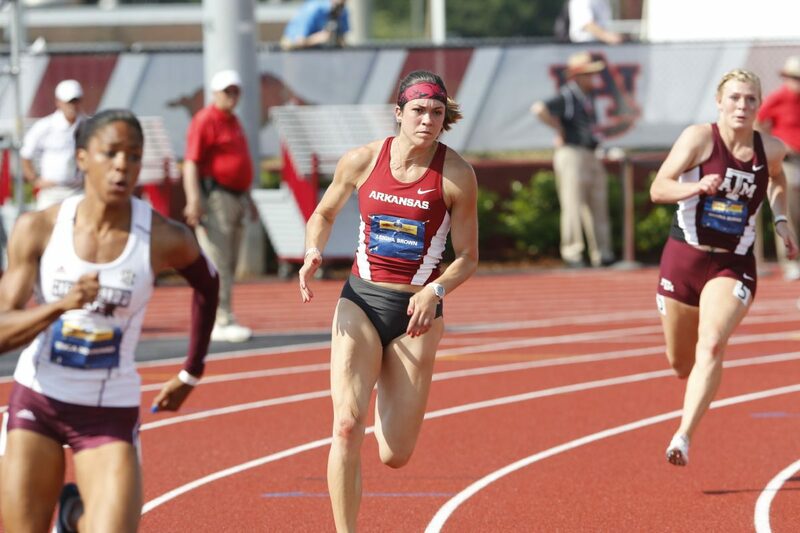 Some of Brown’s Arkansas teammates will continue their track careers at the USA Track and Field Championships in Sacramento later this month, but Brown is calling it a career when the week is done. Selena Brown, Leigha’s mother, served as the Economedes track coach from 2007-14 and coached Leigha in the program from 2010-13. Selena retired from coaching in the Valley in 2014 and began teaching at Mt. Sacred Heart Catholic School in San Antonio. Both of Leigha’s parents have made the trip to Eugene to witness the end of her track career, for better or worse.